The Outreach Committee thanks the congregation for their support of their many December projects. On December 2, 2018 St. Mark’s Elves traveled to the Selinsgrove Center to once again share stories, songs, bubbles, balloons and gifts with these seventeen ladies of CM-6 and their caregivers. It was a very special afternoon for the ladies and our elves. Heartfelt thanks and appreciation to the congregation for their generous donations of money, body wash and pudding to fill in with the gifting. We were blessed to receive more from the ladies and their caregivers than we gave. With assistance from congregation members, the residents of the Danville State Hospital received everything from batteries to packages of socks, hats, gloves, watches and wallets totaling 88 clothing items and 78 batteries. These many and varied items were used where they were most needed. A member of Redeemer Lutheran Church graciously delivered our donations to the hospital with those from Redeemer. The committee thanks all who participated in this outreach. 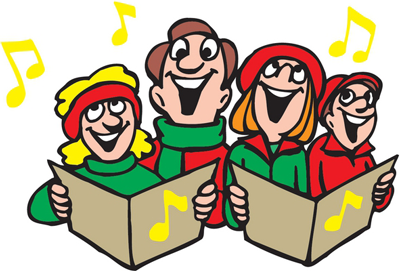 On December 9, 2018 three carloads of carolers visited with our Special Concern Folks and others. Thank you Bernadette Jones for making soup for our luncheon that day. To the folks, particularly our young people, who sang carols and delivered cookies thank you for taking time from your busy schedules to bring cheer to others. Our cookie bakers created 112.5 dozen cookies, yes, 1350 cookies! They were packed up to deliver to our home-bound friends during caroling, plated for Kid’s Night Out, the caroling luncheon, and the kitchen cabinet”—with some left over to go home with us. Thank you to all the members of the congregation, who also took Christmas cards from our trees in the Narthex, added a cheery message and mailed them to our Special Concerns Folks and others we do not see as often as we would like. The Christian Education Committee and the Outreach Committee thank the congregation for participating in Reverse Advent. As of press time many boxes were being returned filled with food items and hygiene products. Look for a total count in an upcoming Sunday bulletin. Many thanks to the several congregation members who donated treats for the Christmas Eve hospitality that was served between the two services. It was a joyous time of food and fellowship. These gestures of Christmas spirit given by our congregation were sure to comfort the individuals receiving them in Christ’s name.